When you’re settling in to watch one of this summer’s blockbuster movies, you might recognize the Ithaca College library on the silver screen. “The Library,” a short film by Eva Kirie and Clara Montague — both first-year students in Ithaca College’s Roy H. Park School of Communications — won the Coca-Cola and Regal Films Program and will screen in Regal Cinemas nationwide starting in May. “The Library” was chosen by a Red Ribbon panel comprising representatives from Coca-Cola, Regal, EFILM Digital Laboratories and others in the entertainment industry based on the creativity, creative fit and entertainment value of the film. As winners, Kirie and Montague will receive a Red Raven camera kit, while Ithaca College will receive a Red Epic-W 8K S35 camera. Montague said she was confident but nervous before the winners were announced. “Eva’s hand is probably a little hurt because I squeezed it so hard,” she said. Filmed at Ithaca College and Regal Stadium 14 in Ithaca, “The Library” features a student studying in a library when he receives a notification about a new movie release on his phone. When he calls out to invite a friend to the movie, total strangers pop up inviting themselves along. Kirie and Montague partnered with a crew from the school’s Park Productions and Park Media Lab Director Carol Jennings to complete the film. “I cannot stress enough that this was a team effort and we could not have done this without their help and support,” said Kirie. The two television-radio majors entered the contest in fall 2017 as a result of an assignment in their Introduction to Media Industries course. 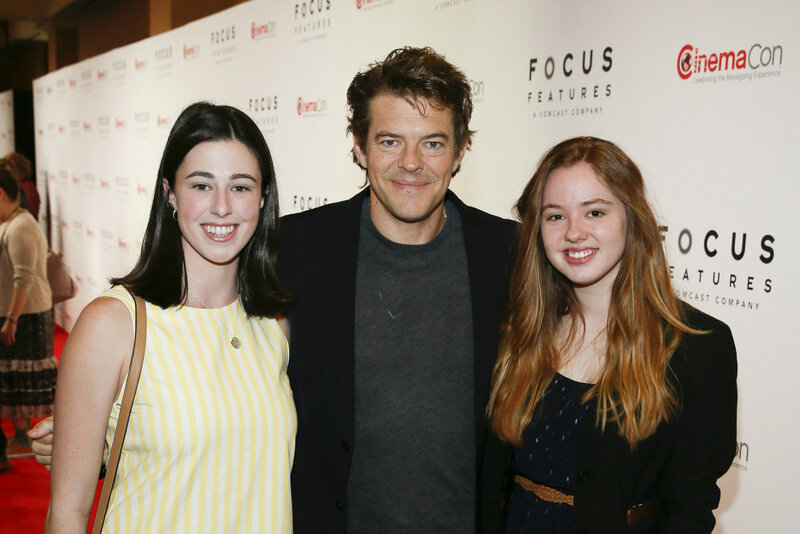 Associate professor Jack Powers assigned a project to pitch a script, crew list and budget for the competition, but students weren’t required to actually apply to the program. Confident in their script, Kirie and Montague took the extra step. 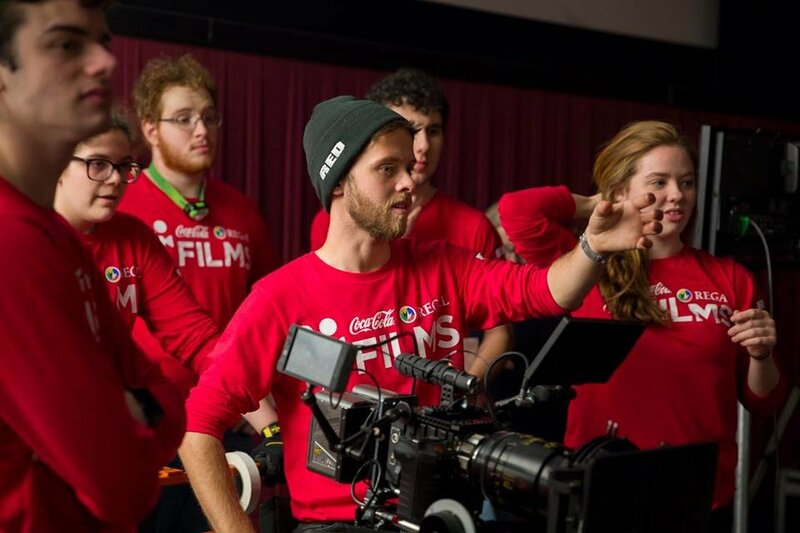 The Coca-Cola and Regal Films Program is a six-month initiative that challenges film students to write and shoot a short film advertising Coca-Cola and Regal Cinemas. Teams from 29 colleges participated in the program, with five finalists selected and given $15,000 along with training and support to create a 35-second film.